I’ve been thinking about this post for darn near 6 months now, but just couldn’t bring myself to figure out how to par down the list. I also had grandiose plans of watching all these different movies to have a fresh account to give about why I selected one movie over another. Uh yeah, all I made it through in 6 months and a membership to Netflix was Death Race 3000 on a plane ride last week back from San Jose. So I’m throwing caution to the wind, crying “Damn the torpedoes!” and throwing my list out there. Really my only criteria for the movies on my Top 5 Porsche Movies of All Time list is that the Porsche had some kind of impact on my mental capacities at the time I watched the movie. Pretty well-thought out, eh? Maybe not the most popular movie, or the most popular actor for that matter (Corey Haim), but this movie hit the theaters at a time when I was dying for a 911 Turbo (wait, that’s still the case to this day). Wouldn’t that be the ultimate scenario? You get handed the keys to a 911 Turbo Cabriolet? Not the sturdiest movie, but a respectable plot. At least for Porsche enthusiasts and tweenagers! This is on my list because it’s one of the best car movies I’ve seen in a long time. Not since the Cannonball Run days has there been such a great collection of cars at the core of a movie plot. I love the opening scene when they’re sitting in the car across the street from the Porsche dealership deciding whether to boost the car or not. I do wish they would have included more Porsches in the list of cars to be “acquired”. I LOVE Top Gun. One of my favorite movies of all time. I saw it at least 3, maybe 4 times in the theater. This is the movie responsible for me having a thing for 356 Speedsters. Even though this one is a replica, it’s still a gorgeous car. When I think of “Porsche” movies, Top Gun is always at the top of my list. When you think of Risky Business, you’re likely to have one of two images running through your mind. The first is going to be Tom Cruise in his skivies. The second HAS to be the Porsche 928 he decides to take out for a spin. A while back I read an article about someone who tracked down one of the 928s used in the movie and bought it. Pretty cool story. I still would love to own a 928 like that some day. This is my all time favorite Porsche movie. Mostly because the entire movie is about Porsches. Charlie Sheen is great in the movie too. If you haven’t seen this one, you have to rent it. It’s older, but definitely worth watching. In fact, I have it in hand (for several months now) from Netflix. If I were ever going to be a car thief, I think Porsches would be what I’d focus on. Funny thing about this process for me. I mentioned I was going to try and watch all these movies with Porsches in them in preparation for this post. The one movie I managed to watch, Death Race 3000, didn’t make it onto the list! I wasn’t too impressed with the Porsche in that movie. 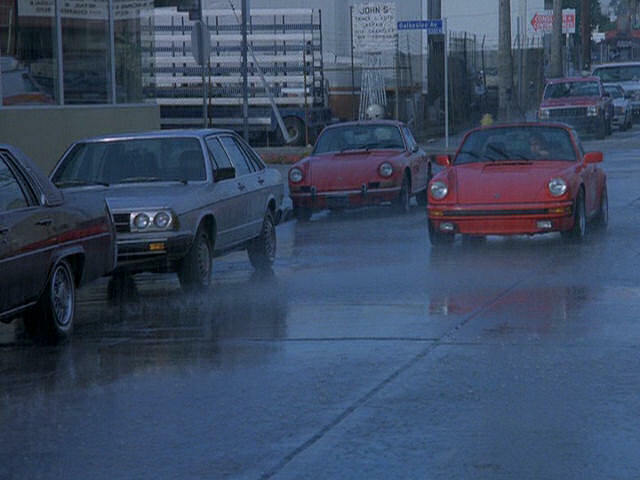 There are tons of movies that could go on the list that have Porsche sightings in them. Feel free to leave your favorite(s) in a comment. No Man’s Land is the correct No1 choice, hands down! THIS LIST IS WRONG!!!! 🙂 Where the hell is Le Mans??? Le Mans??? Never seen it. Guess I need to rent it. Right when I saw the heading of this post I thought of Risky Business. Porsche: there is no substitute. You need to buy it. 🙂 Trust me. You will watch it over and over. Ryan, I am a movie guy and I have never seen Lemans either.. I wouldn’t sweat it if I were you. I think Disney/Pixars ‘Cars’ should have been on the list. Ryan – don’t rent it – BUY it. If you have 5.1 surround, turn it up. One of the coolest things about this movie is that for the 1st 25 minutes, there’s no dialogue – just cars. Alright, I’m going to go with Gary and John, and not Jeremy (sorry Jeremy, numbers and level of previous Porsche knowledge win out on this one) and BUY Le Mans. Is this the one you guys are referring to? Le Mans Movie The 1971 Steve McQueen version? I look forward to seeing your review of LeMans. I will have to rent it or buy it if it is that good. My two favorites on your list are Top Gun and Gone in 60 Seconds. I did like all the cars in 60 Seconds, and Top Gun was an all around good movie and the Porsche was awesome. Good list. I haven’t seen #1 so I will definitely have to check that out. I was thinking that C’était un rendez-vous may be a Porsche, but I forgot it was a Ferrari (according to imdb it was a Mercedes w/ Ferrari sound dubbed over) – but that is a great movie nonetheless. If you haven’t seen that one, you should check it out. Car races through the streets of Paris in the early AM. Only about 10mins long. Ruthless, I’ll be honest. The only thing I remember about Against All Odds is the Phil Collins song. Great song though. holy wow ruthless what a scene just watching that made me start to sweat!!! That was a wild chase scene. Good thing he came to a stop at the end. the first time I saw that 928 in Risky Business, that was it. everywhere. They were really special and they stood out. a MV Agusta F4 1000. I rarely bump into another one. There was a nice speedster in Doc Hollywood! What are some movies with scenes involving a black Mercedes or yellow Porsche? Nothing wrong with a Porsche 944. “Worst car” is probably more of an opinion than fact. I still love 944s and would own one. Heyy where is the 911 from BAD BOYS?????? You have made a big mistake here!!! 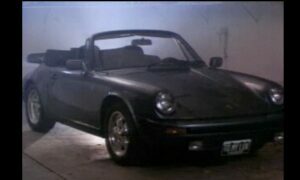 @Misu – That was on the short list, but got edged out by some movies with Porsche more in a prominent spot in the movie. It’d be on my Top 10 list though. Oook thx for the reply! I own a 2004 Porsche Boxster S and this morning while driving it the “check engine drive to shop” light cme on. It only has around 30,000 miles on it. Does anyone know the cause of this? Check out “The Hidden”. It is a sci-fi/horror/thriller from the 80’s that features one of the detectives that drives a Porsche 928. Not to mention the whole movie is filled with the “bad guy” stealing ferrari’s and getting into high speed chases with the police. There is also a quick shot of a 911 parked on the street. A Great movie full of exotic cars! Le mans…. by far !. My two favorite movies would be LeMans..of course and Risky Business….”Who’s the U-Boat commander.” It still makes me laugh today. 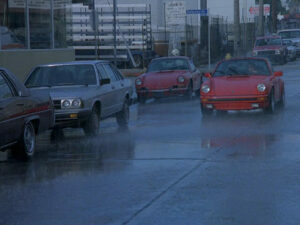 And the yellow Porsche from Commando (1985). I know this thread is old but Le Mans is a great movie that highlights the Porsche did you ever watch it? Also I definitely think Bad Boys has some of the greatest Porsche scenes of all time. @Geran – Yes, I did! Great movie. Bad Boys, with that 911 Turbo, is pretty amazing. @Bob – That’s a great movie. Definitely a contender. Condorman, its a kids movie from the 80’s but the bad guys drive 911 slant nose. There is also a renault 5 turbo 🙂 great chase. King of the Mountain. 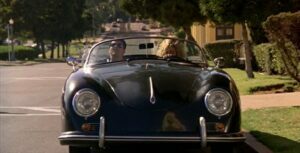 The main character drives a 356 wide body. The movie plot is a bit corney but the race scenes are top noch. From what I understand the actors did their own stunts which is pretty cool. Definitely a must see for old school Porsche fans. Seems like a decent deal if it’s in good shape. Where’d you find it? What about “Redline” with the Porsche GT. 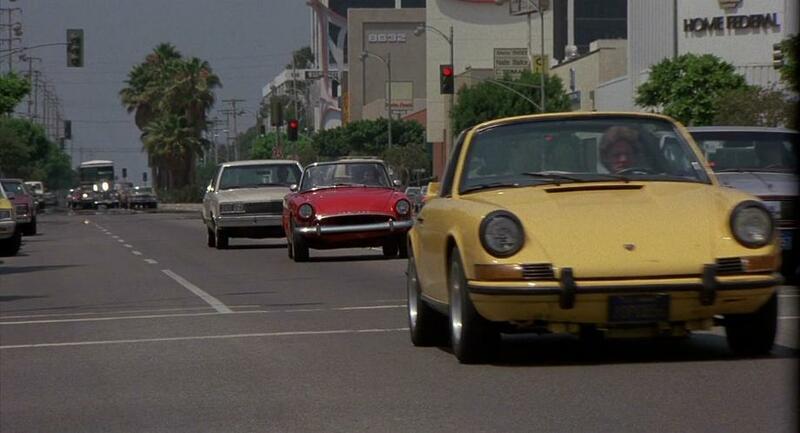 What about the yellow Porsche chase scene in “Commando”? 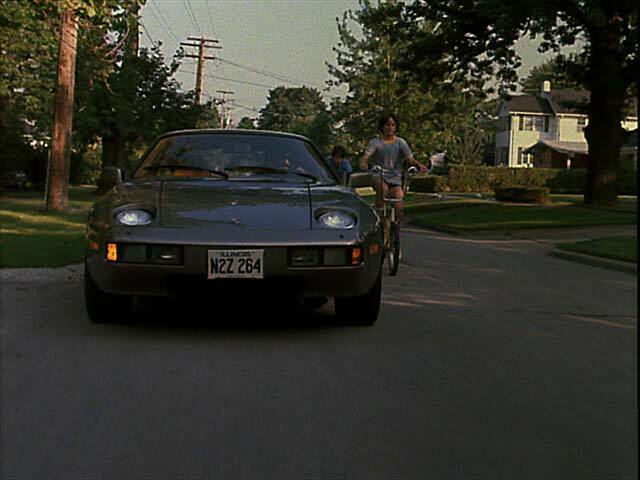 Also, I love the small scene in “Weird Science” when the guys are leaving the mall in their black 928 Porsche. They do a mean burnout by any standards! I’m glad you put “No Mans Land” at number 1; it is well deserved at number 1. Not only is it the best Porsche movie ever, but it’s also a killer movie!!! It’s a time capsule of the coolest looking Porsches, it has some of the best Porsche stunt driving ever, and the story is so slick and cool, all the way to the end. Charlie Sheen takes zero sh*t from anybody in that movie. I love the end!